Do you know what depression looks like? Are you sure? How do you know if someone is depressed? I’m sure most would say someone whose always sad or someone whose always worried and complaining. Better yet someone who has truly let themselves go, right? Someone who appears to have given up on life. Someone whose angry all the time. A person so blah that you really don’t want to be around them all the time. Well what if I told you that depression is not something that can always be easily seen. You ever hear the story about people who have committed suicide and all of their friends and family didn’t see it coming. They always say how happy they were and how they were always smiling. They appear to be in complete disbelief that their jolly old buddy was actually so low in their feelings that they couldn’t stand to live another moment. You learn about how many attempts your loved one has tried to take their lives. You realize that some of those moments were times that you were supposed to be there for that person but you didn’t. You begin to reflect on the times that you told them that they were just being dramatic or they’re too sensitive sometimes. How about the times that you avoided their calls because you just didn’t have time for the drama. Although seeking professional help is the best option it always helps to have a friend. What this does is show the person that there is someone out there that loves them and how to reach from within to heal. Being a person who sometimes suffers from PTSD, depression, and anxiety I can truly understand how complex this disorder can feel. It’s really not something that can easily be explained as everyone suffers differently. I do know that the way people react to you can either make or break that person. or anything like that. It actually causes more harm than you think. Its like looking at someone with a broken leg and saying, “Come on man, you gotta just get up and run it off”. Seriously????? And don’t get me wrong, I am in no way saying that we also enjoy a good pity party. That’s not what’s needed either. Sometimes your support and understanding is enough. It’s impotant to know that we are not weak individuals. If you ask me we are some of the strongest people. Please try to remember this when dealing with anybody with any type of illness, especially those illnesses that can not easily be seen but more so felt. 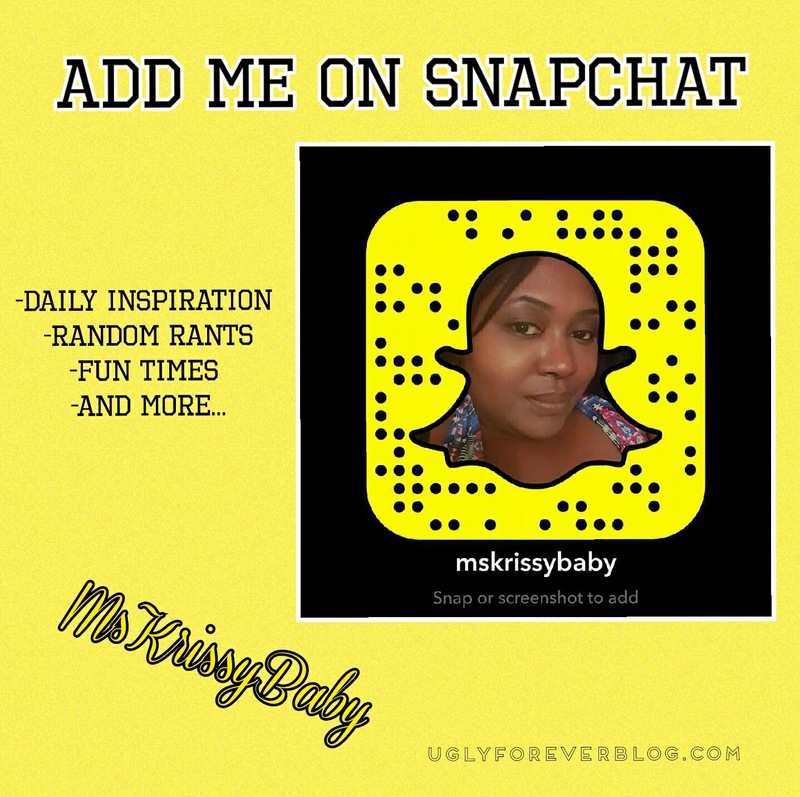 Posted in Feel It Fridays - Random Posts.Tagged Depression, Family, Feel It Friday, Inspiration, Krissy G, Random, Spirituality, UGLYForever.